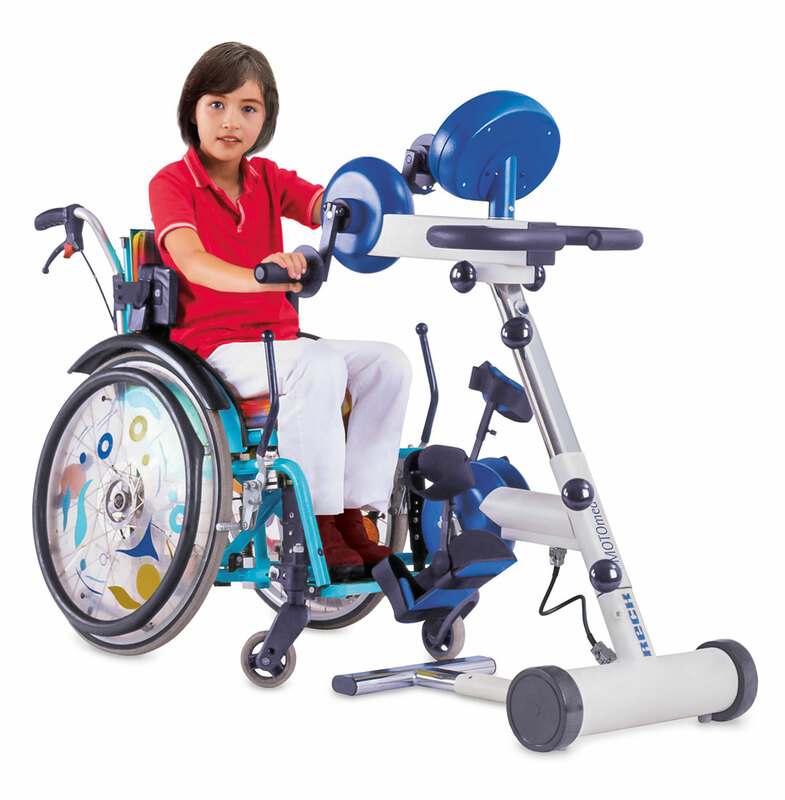 The MOTOmed gracile12 is the only motorized movement therapy device that is specifically designed for the needs of children. The narrow distance between the foot pedals and the height adjustable motor shaft allow for physiologically correct movements, even for small children with a starting body height of 90 cm. The big color display with the fun MOTOmax and trampoline training and motivation program animate the user to a regular training. Your child grows – the MOTOmed adapts. In order for children and small adults to be able to train in a physiologically proper joint position, the MOTOmed gracile12 was developed with a foot shell distance of 12 cm. Therefore, an overstraining of the hips and knee joints is being avoided. The height adjustable pedal axle is leveled to fit the length of the legs which provides an ideal seating position. The MOTOmed gracile12 is adjustable to your growing child’s height. For those children who are training actively it’s a fun challenge to make the MOTOmax game character jump. If equal strength input is applied from both legs or arms, the MOTOmax ”jumps for joy” and rewards you with a smile. The MOTOmed gracile12 is equipped with several safety features, such as SpasmControl, with MovementProtector and spasm detection. By this, safe daily movement therapy is guaranteed, despite of physical limitations. The MOTOmed gracile12 is officially registered as a medical aid with the government health insurances in Germany. Therefore, under certain conditions there is a reimbursement of cost for patients with neurological conditions. Test the MOTOmed gracile12 at the comfort of your home, free of charge and with no obligation Contact your local sales representative.